I would like to add some extra training to the program, but do not know on which days to make the modifications. Add strength training on easy days. Do so after you run, rather than before. Given that as your guideline, here is how you might modify Week 3. I have added strength training on two of the days: Tuesday and Friday. You could strength train a third day on Saturday, although I would prefer you go into the long run somewhat rested. 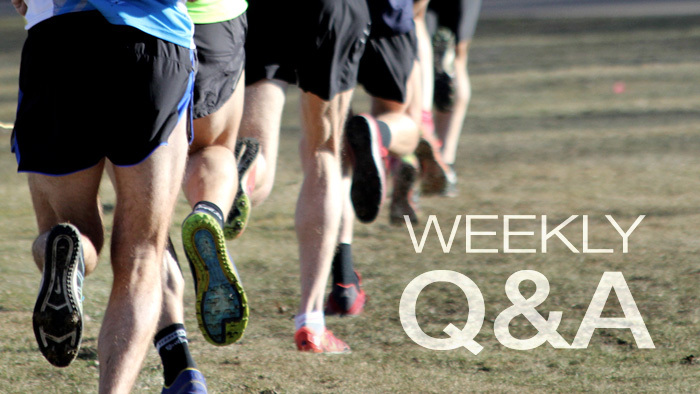 Cross train on Thursday, and while you could do the same on Monday, you might like at least a single day of rest, particularly after that long run. The same general modifications would prevail throughout the program.